Sometimes, wall air conditioners aren’t enough in providing you with the coolness that you require. They are expensive to buy, maintain and are non-versatile because you have to fix them at a certain corner in your house. 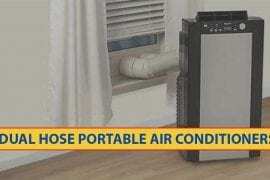 It is in the spirit of finding more affordable and versatile units that portable evaporative air coolers were developed. These air coolers are designed to consume as less power as possible, are easy to install, and are very affordable relative to wall air conditioners. You can carry evaporative swamp coolers anywhere you go because of the portability features added to them. 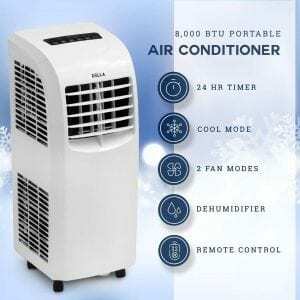 With their low power consumption, these Evaporative air coolers only cool an area of a very limited radius, and for that, they are sometimes regarded as personal air conditioners. There are many units that you can purchase out there, all having different prices and coming from different recognized brands. This review article seeks to help you to navigate around these precious products and select the best out of the best. Please walk with us as we shed light on the top ten best portable evaporative air coolers in 2019. 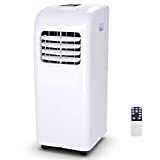 By placing this evaporative air cooler on your kitchen/dining table, office desk, pet cages, in your bedroom or near your porch swing in the garden, you can customize the humidity and temperature of the air around you, as opposed to cooling an unnecessarily big area with a wall air conditioner. With dimensions of 5.9L by 3.9W by 9.5H inches and a net weight of 1.7 pounds, this item is lightweight, portable, and fits in the smallest spaces on a table or bench. This cooler is designed to take in the warm/dry air and use cold water/ice to make it moist before releasing it at a temperature of up to 12 degrees cooler. This cooler is one of the easiest to set up: You just add 350ml of water into its tank and then plug it into a power source. 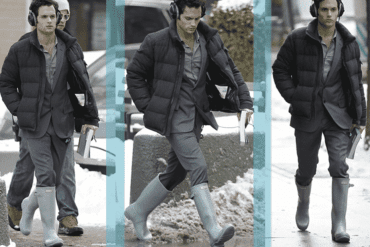 That being done, you will be getting up to 70ml of cool and humid air every hour. It works efficiently and quietly, doesn’t wet the surface on which you place it, and is easy to clean when not in use using a toothbrush. 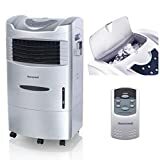 With a power rating of 24W, coupled with the fact that it can humidify your personal space for up to five hours nonstop, this cooler ranks among the most economical personal air conditioners you can find today. You will be able to control your personal area temperature within a range of three gear wind speeds- low, medium, and fast. 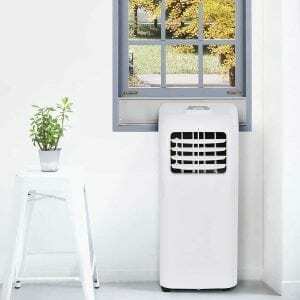 This evaporative air cooler is not as durable as you would expect, especially for its price. After sometimes, it may start to leak forcing you to use a towel underneath it. If you work in a room of 200 sq. ft. or less, this portable air cooler will work exemplary well for you. For portability purposes, it measures 12 by 13.3 by 28.1 inches, has four rolling casters, and weighs about 20lbs. 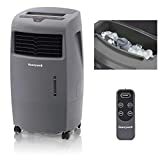 This cooler is versatile in the sense that you can use it as a dehumidifier, as a fan, and when using it as a cooler, you can set it at two wind speed levels. When in use, this cooler operates at 261 to 580psi of pressure and within a range of 62.6℉ to 86 ℉. It comes with an LED display panel and remote control to help you control the temperature quickly and comfortably. It also has a smooth window outlet panel, making it an excellent choice for use in the garage. This cooler is rated at 1.15kW, meaning that it can significantly increase your daily power consumption. It is also too loud and can disturb you if you don’t work well in a noisy environment. The 6” diameter exhaust hose, on the other hand, expels too much water that you may be forced to acquire a water container to prevent it from messing your office. 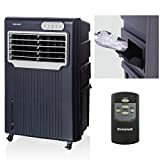 This one should be an excellent acquisition for people living in low-humid areas or whose power consumption budget is low. Reason? 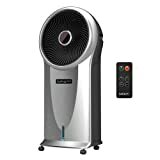 It has a power rating of 235watts and has an adjustable humidification dial that comes in handy during winter seasons. Its 500 CFM airflow, on the other hand, cools an outdoor area of radius 9 yards or up to 250 square feet when used indoor, thus making it an excellent alternative to a wall AC when you work in a small office, garage, or when you relax on your patio area. For portability, this unit has two side handles and four durable caster wheels that roll perfectly well on any floor. This unit comes with a remote control so that you can switch it on or off from a distance. You can set this unit to either high, medium, low, or sleep airflow speeds depending on how cool you want your personal space to be. When used with the water tank full, this unit can reduce the room temperature by up to 15 degrees. The unit works with an ambiance of between 25 dB and 42 dB; reasonably quiet. The maintenance practices needed for this unit are a little too demanding for someone operating on a busy schedule or a senior citizen. You have to occasionally fill it with water because the tank is small while cleaning the water tray is somehow hectic. This unit has a unique 2-way air cooling feature that ensures that your space is evenly dehumidified and cooled. Its power rating is 850W, making it ideal for any user whose power bills aren’t too stretched. This item measures 11.75W by 14.25L by 30H inches, has four rolling casters, and weighs 75 pounds so moving it around isn’t much of a problem. So that you don’t keep wiping your desk or collecting leaking condensed water, this unit has an inbuilt water reservoir that collects the water, then all you do is empty it once in a while. 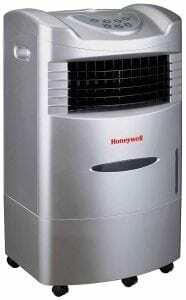 Its cooling system operates at a temperature of 62F – 82F and can throw cool air for up to a region of 350 sq. ft. The digital LCD display produces some beautiful green flashlights that will beautify your bedroom whenever you use it. As for the noise levels, this unit ranges between 53dbm and 57dbm on high so it won’t be much of a bother to you not unless you wish to watch the TV. The remote control, incredibly useful. This item doesn’t come with an installation manual so it could present you with huge problems when trying to put it together. Without a vent window mounting kit, this unit is not the easiest to set up. Setting this unit at low plus sleep mode means that your 700 sq. ft. room will be dehumidified and cooled without a sound. When used in highly humid areas, this unit can condense up to 14 gallons of water per day. This unit operates at as low as 45db output. Some of the other key features of this unit that makes it stand out from the rest are the 24 hours automatic on/off timing, versatility in that it can be used both horizontally or vertically, smooth glider wheels, durable dust filters, and an auto-evaporation system. It measures only about 19.4L x 16.7D x 31.2H in and weighs 72.8 pounds meaning you can carry it in your car trunk whenever you intend to use it for outdoor purposes. The exhaust hose is stretchable and ranges between 10.6” to 59”. As for the power ratings, this unit is rated 115V, 10.5A. Draining water after this unit condenses it could be problematic because the reservoir is non-removable and can only be emptied from underneath the unit. You will need help to lift this unit up. This robust outdoor evaporative air cooler is designed for areas whose humidity levels fall below 60%. 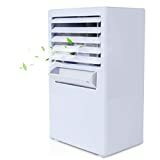 You will not have to worry about insects or dust clogging the cooling system because this unit has an auto-close shutter. For easy storage and portability, this unit measures 27.6L x 16.77W x 39.7H inches and has firm rolling casters. Its weight is approximated at 48 pounds so you can use it in your garden or even carry it to your office. This is one of the quietest coolers out there with the sound level at high speed approximated to be about 65dB. 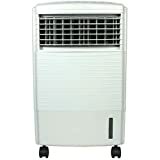 If your power budget is already stretched, use this unit for indoor cooling as a substitute to wall ACs because it is designed for low power consumption rates of 280 Watts, and it has powerful air fans that can throw cool air up to 600 sq. ft. The casing is UV heat/light resistant, so you will have nothing to worry about when you use it in open-air. The primary challenge that you will encounter when using this unit will be difficulty in cleaning its water reservoir. If your garage, bedroom, or patio is 250 sq. 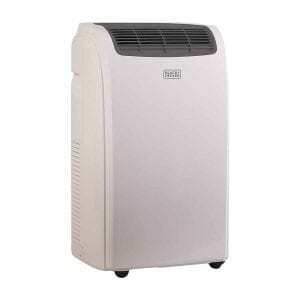 ft. or less, this is the most economical portable evaporative air cooler for you. It has a removable filter so you will have an effortless time cleaning the unit. For easy installation and application, this item is shipped to you together with an installation manual and a vent window mounting kit. The casing is compact, and with four caster wheels, you will also have an easy time moving it around. If you need to lift it, its 52.9 pounds weight will be comfortable for you to carry, even if you are taking to the rooms upstairs. The exhaust hose is expandable for up to 4 feet and 11 inches and has a diameter of 5 inches. This 12 by 16 by 25 inches evaporative air cooler is made explicitly for arid and hot areas; areas whose humidity levels fall below 40%. Its rate of air flow is marked at 23 feet per second and has the power to cool an enclosed area as big as 175 sq ft. efficiently. When you put ice in both the top and the water tray, this unit blows cool air all around the clock and, consequently, the temperature levels fall by up to 17 degrees. It consumes 60W of power making it an economical alternative to wall air conditioners. With a weight of only 18 pounds, this unit cannot get any lighter and portable. This evaporative air cooler is so quiet that you will sometimes forget that it is on. With its digital timer, however, it will go off by itself in case you forget to turn it off. 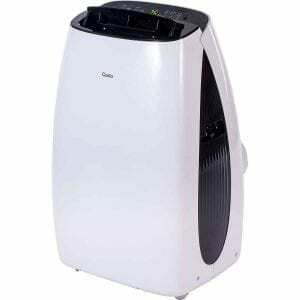 This three in one- humidifier, air cooler, and a tower fan- is designed to work best when used in small spaces of 250 sq. ft. and less. Besides having a uniquely compact casing and strong rolling casters, this item has a stylish shape that will give your room an elegant and contemporary new outlook. It weighs approximately 16 pounds meaning that anyone, a teenager or an aging person, will carry it to the bedroom upstairs without breaking a sweat. With a cooling power of 500 CFMs, this swamp cooler can lower your room temperature by up to 30 degrees- very good for very hot and dry climates. As for the noise levels, this cooler works at 66dB and below so it will not disturb your peace even when watching TV. The water tank, on the other hand, has a capacity of up to 1.76 gallons. What’s more, the unit will always notify you when the tank is near empty or full. The power rating for this item is 110W so you can be sure that it won’t hurt your power budget. 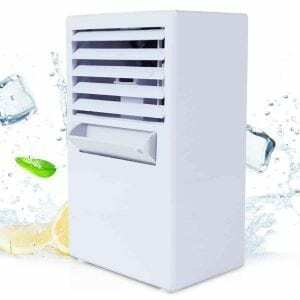 If you are looking for a reliable portable evaporative air cooler that can work well as a humidifier in a locality whose humidity levels do not exceed 60%, this is your product. 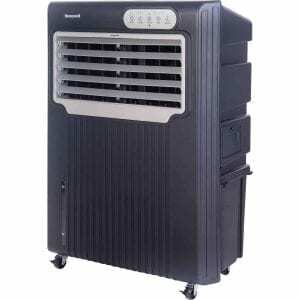 Provided the water tray is filled with cold water or ice, and this swamp cooler is plugged in, it will give you a fresh breeze-like air so that you can concentrate on your work in a comfortable environment. 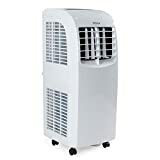 This product is one of the most effective cooling you will ever get at such an affordable price. It is best utilized when placed in a room of 280 sq. ft. Using its active carbon filter, this cooler can keep dust and insects at bay for increased durability. This item weighs about 23.4 pounds, and with its sturdy wheels, mobility isn’t a problem. Cleaning this item is also not a problem. 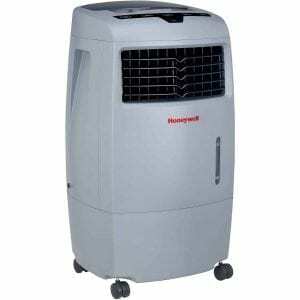 Honeywell, Luma Comfort, Dela, and Quilo are all reliable brands in regards to portable evaporative air coolers. When choosing which cooler to purchase, always pay attention to its power rating, its weight, cooling power, and noise levels. That way, you will never get it wrong in your purchase. Our ten products are all worth your consideration.